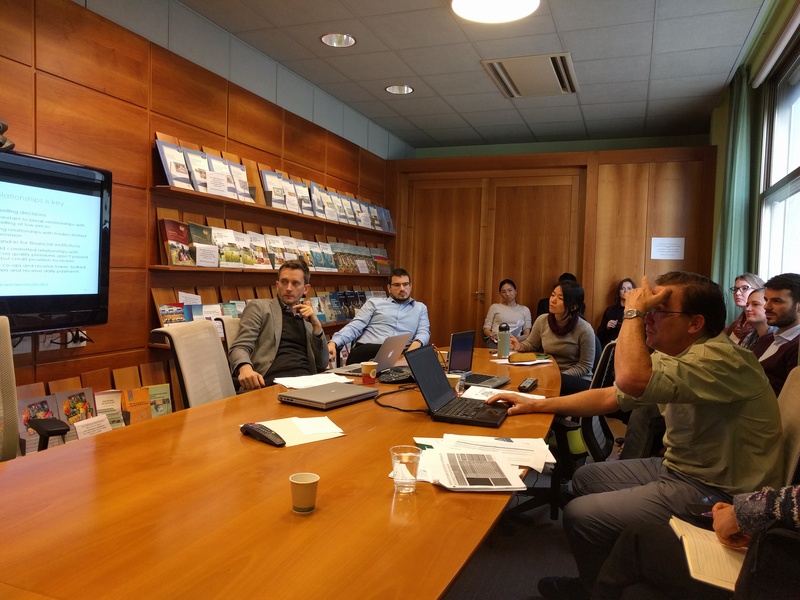 MAFAP (Monitoring and Analysing Food and Agricultural Policies) invited ATAI leadership and staff to conduct presentations and meetings at FAO headquarters in Rome to identify mutual opportunities for evidence-informed policymaking in agriculture. ATAI Board Officer Craig McIntosh and ATAI staffer Leah Bridle met with MAFAP Program Manager Jean Balie and key policy advisory leaders and team members, including Lan Li, Emiliano Magrini, Christian Derlagen, and Guillaume Pierre. ATAI and MAFAP are interested to work together as such opportunities arise to use rigorous evidence in active policy engagements, particularly those that are demand-driven and arising from MAFAP’s ongoing relationships with Ministries of Agriculture. Potential collaborations over the next six months were specifically identified in Ethiopia, Rwanda, Senegal, and Uganda. Meetings were productive and promising, given ATAI and MAFAP share similar goals, work in similar geographies, while bringing complementary expertise to the table. ATAI shared a synthesis of emerging insights from randomized evaluations in the morning session. The afternoon included an FAO seminar from Craig McIntosh and Shukri Ahmed at FAO on protecting farmers from risk, and what we’re learning from a decade of experimentation, including a case study from experimenting with insurance and credit in Amhara, Ethiopia. Summaries and slides from both sessions are below. ATAI has competitively selected and funded nearly fifty rigorous evaluations, the majority full-scale randomized controlled trials, addressing constraints to the adoption and profitable use of agricultural technologies by smallholder farmers in Sub-Saharan Africa and South Asia. ATAI’s evidence synthesis efforts are presented as an overview of “emerging insights” generated from the ATAI portfolio and related research. Craig McIntosh presents this overview of what we’re learning from field experiments about providing financial services, sharing information, and improving input and output markets to enhance smallholder productivity and profitability in these regions. ATAI’s evidence synthesis on risk mitigation is presented in the afternoon seminar. The systemic risks of rain-fed agricultural production jeopardize smallholder farmers’ ability to recoup their investments at harvest. 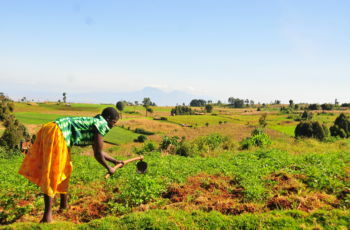 Risk exposure therefore plays an important role in farmers’ agricultural investment decisions, including the use of productive inputs like fertilizer. Craig McIntosh will review evidence from randomized evaluations across Sub-Saharan Africa and India on the adoption and impacts of risk-mitigating agricultural technologies and financial services. Farmers protected against the effects of flood or drought often invest more in their farms, yet few farmers purchase weather index insurance products without significant subsidies. 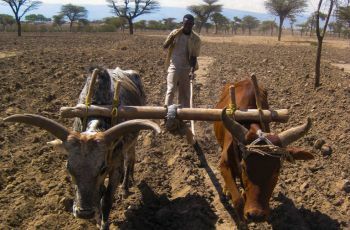 A randomized evaluation in partnership with co-authors at FAO will serve as a case study working with drought-plagued farming cooperatives in Amhara State, Ethiopia. Results from these studies highlight the need to carefully design and evaluate risk mitigation programs to protect farmers and encourage productivity investments.